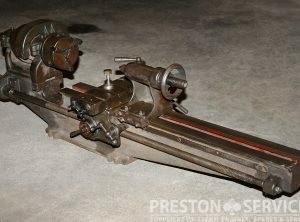 A large French made watchmakers lathe. 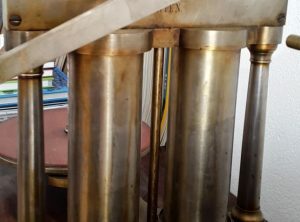 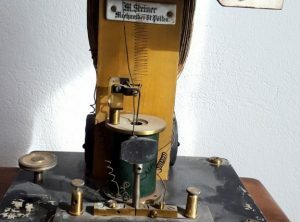 Used in making some of the earliest automatic Swiss watches. 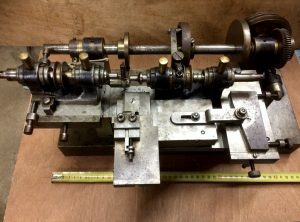 Around 600 mm long overall. 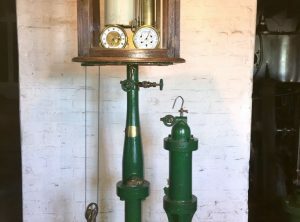 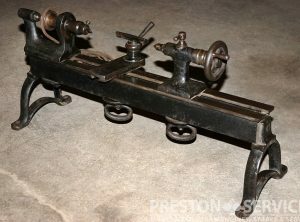 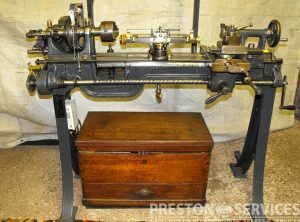 This very nice lathe is by the Britannia Lathe and Oil Engine Company of Colchester, Essex and made around 1880. 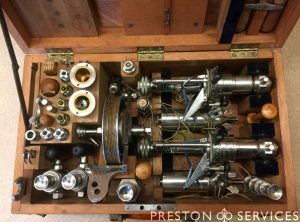 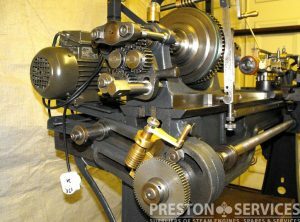 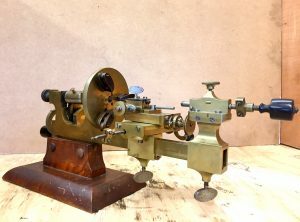 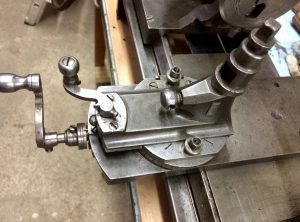 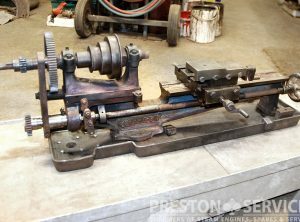 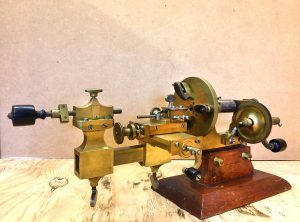 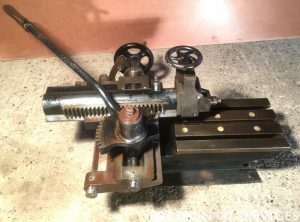 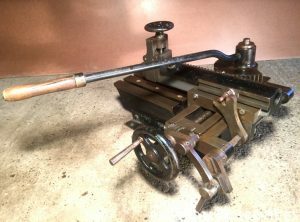 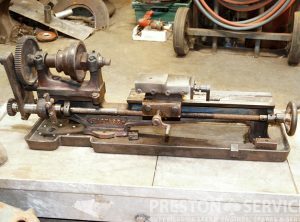 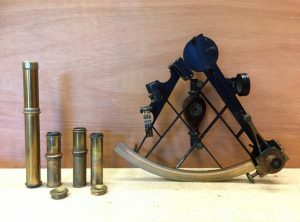 High precision, this lathe was built for the hobbyist and is complete with a set of original ornamental turning attachments and tools (frames, chucks and cutters, etc). 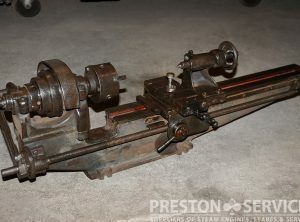 For sale in good condition. 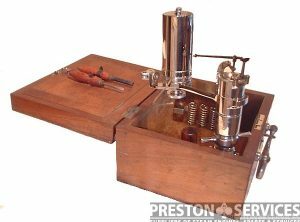 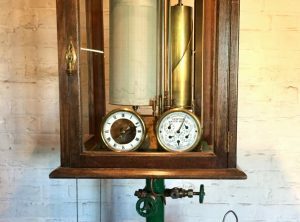 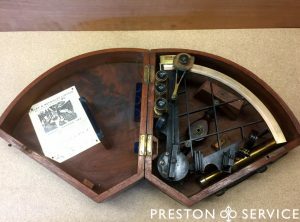 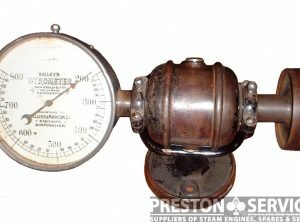 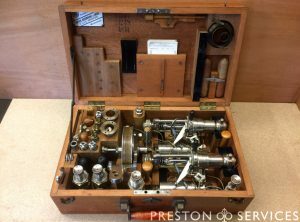 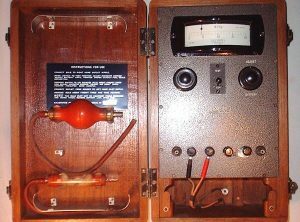 A very elaborate early electrical instrument, this ammeter was built by W J Hauk, Germany circa 1890 and is inscribed with the makers name. 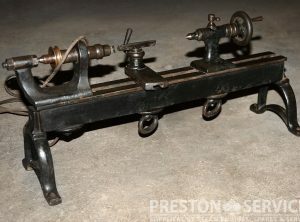 In polished brass and steel with decorative pillars and finials, and on a wooden base 24 x18 cm. 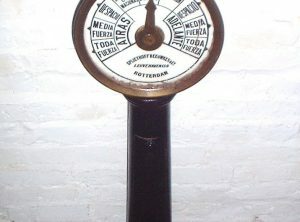 30 cm high overall.